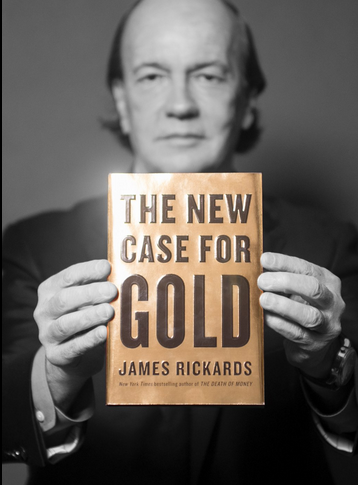 A synopsis of an interview with Jim Rickards, New York Times bestselling author of The Death of Money, Currency Wars, and the newly released The New Case for Gold by Daniela Cambone at Kitco News. Are We Already on a Gold Standard? The world has never left the gold standard. We denied it and we stopped talking about it, but the world is on a shadow gold standard. Why does the U.S. still have 8,000 tonnes? They needed to support what they promised to the Fed. Why does the European Central Bank have 10,000 tonnes? Why does the IMF have 2,000 tonnes? Why is China buying thousands of tonnes? Why has Russia more than doubled its gold reserves in the past seven years? We clearly are on a gold standard but no one wants to talk about it. Gold would need to be at $10,000 – $15,000 per ounce to be on an official gold standard but it would be highly deflationary. This is exactly what happened in 1933. It rose from $20/ounce to $35/ounce — that’s a 75% increase. This was in the middle of the greatest period of sustained deflation in American history — 1929 to 1933. Yet the price of gold went up. That’s because it was dictated by the government. The government made the price go up. They were so fearful of deflation. Nothing happens in a vacuum. If the price of gold goes up then everything goes up. That’s because it’s not really the price of gold going up, it’s the price of the dollar going down. So when gold went up 75% it was really the dollar going down 75%. That’s what they wanted. Oil, steel, wheat and other things went up and it worked. If the currency wars don’t work and Forward Guidance, QE, and Operation Twist don’t work and inflation still rules then the U.S. government could raise the price of gold to get inflation. If the system collapses like it did in 1914 or 1971 then you go back to gold to restore confidence. But then this gets to the price issue. Gold at $1,250 per ounce is extremely deflationary if you’re trying to support the money supply. At $10,000 per ounce it works just fine and is slightly inflationary. There’s always enough gold it’s just a matter of price. Jim has spoken to the Number #2 person at the IMF and the #1 person in the intelligence community on economic affairs, and both of them said they were completely relaxed. The IMF person said that China needs to diversify their reserves from credit reserves to tangible reserves. Jim was shocked. When he said credit reserves he meant Treasury notes. 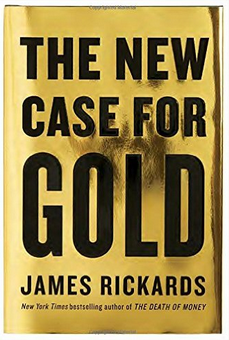 When Jim asked if they were worried that China was buying all this gold, the intelligence community guy said, “Somebody has to own it.”, as if it was a yard sale. So at the highest level of the U.S. government and the IMF they’re very relaxed because they understand that we are on a shadow gold standard. And if China is the second largest economy in the world and they don’t have gold then it’s an unstable system. So you’ve got to get the gold to China but you can’t talk about it because the price would skyrocket. So there’s this big stealth game going on. Is China more transparent now? Jim calls this a “Limited Modified Hang Out”. They’re a little bit more transparent but on the whole they sitll lie about it. China says they raised their holdings from 1,054 tonnes to about 1,700 tonnes. But they actually have 4,000 tonnes — maybe more. We know that from Hong Kong import data and from mining output. So we have other sources of information to form that estimate — it’s not a guess. Jim was recently in Switzerland and met with the head of the world’s largest gold refinery. A gold refinery brings gold in the front door, it gets processed, and goes out the back door. So he knows who all the buyers and sellers are. He said he has a waiting list of buyers. He sells China about 10 tonnes each week. They’d like to buy 20 tonnes but he won’t sell it to them because he doesn’t have enough gold. He’s having difficulty sourcing it. He’s been in the business for 35 years and he’s never seen anything like it where he can’t find the gold. So fiscal shortages are already popping up. Jim doesn’t care what the COMEX says. Eventually the shortages will catch up with the market price and it will skyrocket. 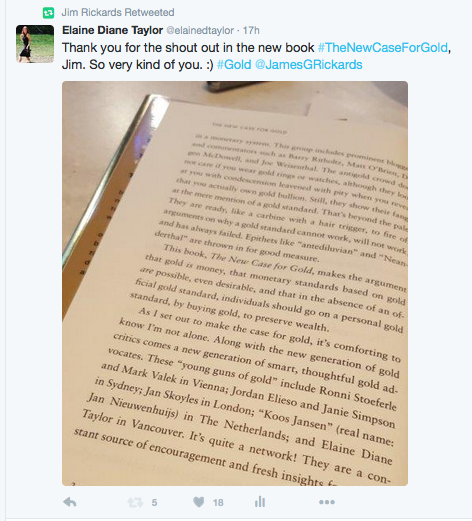 Many thanks to Jim for mentioning me in The New Case for Gold. 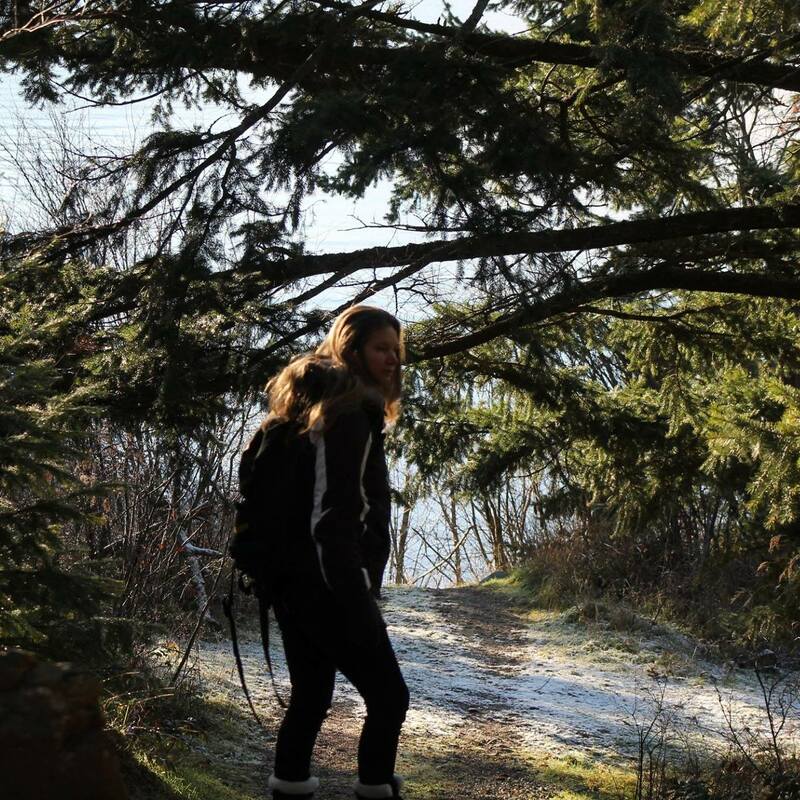 In my final week and a half of academic degree work at Simon Fraser University in Vancouver, Canada. Very much looking forward to full time music, art + media. Please excuse the delay while the last finals for Communications Theory and Publishing are written. New branding, music, products, commentary and website coming. Thank you for coming by .